In this guide you’ll discover 5 of the very best VPN services for use in Sri Lanka. This guide will help you make a buying choice whether you live in Sri Lanka or you’re just passing through while travelling. Sri Lanka is an amazing country with some fantastic scenery, amazing views, intriguing culture and interesting traditions. Sri Lanka sees some 200,000 tourists from the UK alone each year and many more from across the world. While Sri Lanka and its people are some of the friendliest in the world the internet access is anything but. As recent developments have shown, the internet can be restricted at the flick of a switch and without warning access to social media like Facebook and Instagram and communication chat apps such as Whatsapp and Viber can be quickly cut. For that reason, a VPN is now essential if you live in Sri Lanka or even if you’re planning to stay there only a little while as a tourist. Below are 5 of the best VPN services for use in Sri Lanka. 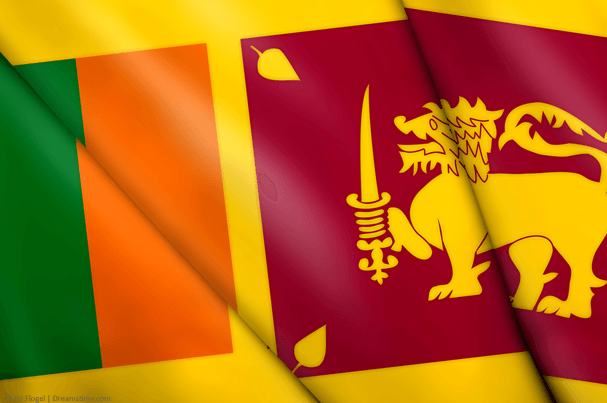 IPVanish is our go to VPN service for many things and Sri Lanka is no exception. We really like the service from IPVanish because it’s a good all round service for multiple purposes and works well for everything from accessing social media, to downloading, watching movies and more. The best location to connect to from Sri Lanka is the Indian server because it’ll give you the fastest speeds. If you want to connect further afield then Malaysia and many Asian countries are available as is Israel. All major VPN countries such as the USA, UK, Australia and many European countries are also available to connect to so you’ve got plenty of choices for connection. The service stores no logs of what you do while connected so there’s no chance of your activity history falling into the wrong hands leaving you to access blocked services such as social media and everything else without fear. If you’re looking for choice when it comes to VPN servers then ExpressVPN is the service for you. There are VPN servers in more than 94 countries and local support near Sri Lanka is vast. They’re one of few services to offer local servers in Sri Lanka itself. If you want to hop outside Sri Lankan blocks or censorship then it’s just a short hop to Chennai, India. Further afield Mumbai, India, Bangladesh, Pakistan, Nepal, Bhutan, Thailand and a whole host of other nearby locations give you plenty of options. As well as having a host of server locations there are also VPN apps for many devices including Android, iOS, Windows and Mac. On top of that, there is a Linux and Amazon Fire TV client too. We really like the fact they offer a 30-day money back guarantee which gives you a full month to test the service in Sri Lanka to see if it’s suitable for you. 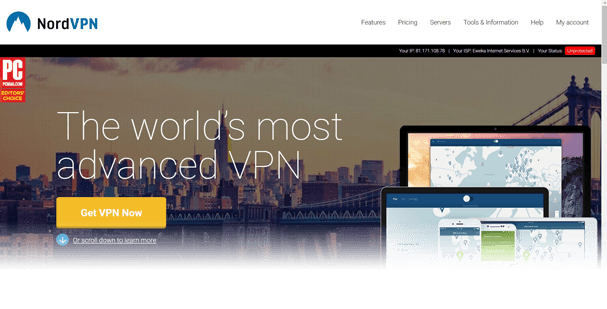 NordVPN is a well respected VPN provider and it’s not difficult to see why. Most likely you’ll want to use the service on your mobile device in Sri Lanka. Thankfully the NordVPN mobile apps are some of the easiest and most user-friendly we’ve seen. Not only are the mobile apps easy to use but the desktop clients for Windows and Mac are just as simple. The nearest server for use in Sri Lanka is in India which will help you get good speeds while bypassing any local blocks or restrictions. If you want to go further than India then servers are available in Thailand, Malaysia and Indonesia as well as a host of western countries such as the US, UK, and Australia. We really like the fact there’s a 30-day money back guarantee on the service which lets you test it in Sri Lanka to see it working without risk. There are well over 3000 VPN servers available on the service in over 59 countries so there is plenty of scope to avoid any local restrictions or censorship. 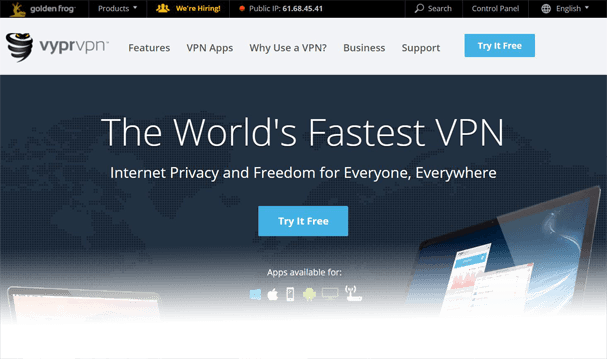 With recent Social Media blocks many users scrambled to find free VPN services. After all, why pay for a VPN service if you can get one free? The trouble is free VPN services are not reliable, nor are they safe. Anyone who is offering something free that costs money to run has other motives. If you must use a free service then it’s best to use a reputable provider like VyprVPN who offer a completely free 3-day trial. All you need to do is pop in some payment details and your free trial is active. If you don’t wish to keep it then simply cancel before the 3 days expire. You get access to the full service with no data restrictions and as thousands of other users aren’t jumping onto the network you can pretty much guarantee the service won’t become blocked in Sri Lanka. If you do choose to keep the service then you’ll be rewarded with one of the easier to use and better VPN services. However, it’s worth noting that VyprVPN is not suitable for torrent use because your account could get suspended. Private Internet Access is one of the biggest and most well respected VPN services in the world. Although they don’t quite have the server location numbers of some of the other providers they do have VPN servers in India which is great if you want to bypass Sri Lankan internet censorship. Further afield servers in Singapore and Hong Kong will also let you access an unrestricted internet. The service offers some of the cheapest prices in the industry so if you’re looking for a reliable VPN provider with low prices, PIA certainly ticks that box. A monthly service can be as low as US $2.91 per month which is about as cheap as you’re likely to get. The service stores no logs of your activity which has been tried and tested in various US court cases so there is no risk that the Sri Lankan authorities will know what you’re accessing. We really like the fact there is a wealth of payment options available so if you don’t have access to traditional credit cards there are plenty of other ways to pay for the service. Knowing which VPN provider to choose for Sri Lanka can be extremely confusing. With so much competition it’s often hard to decide which will be best for use in Sri Lanka. The first consideration is local connection points. As Sri Lanka is an island it’s connected to the internet via undersea cables. These mostly go through India and other South East Asian countries. To get the best possible speeds when hopping outside Sri Lankan internet restrictions it is best to connect to the nearest connection point. This is India. Further afield Pakistan, Bangladesh and even Singapore, Thailand and Malaysia make good choices. You can of course connect to countries like the USA and UK but you’re going to suffer reduced speed. Although for a more open and free internet the speed loss may be worthwhile. Consider a provider that offers VPN connection points in all or some of these locations. The second consideration is cost. While it may be tempting to use free VPN services, the dangers of these can often outweigh the benefits. If you really must use a free VPN take a look at our Best Free VPN Guide. If you can stretch to paying for a service you’ll get a much more secure and faster service. Try to look for a VPN service that offers good value for money, the prices are often targeted at the western world so may seem expensive for Sri Lanka. However, services like PrivateInternetAccess do offer extremely low prices. Lastly, it’s important to consider up to date information when researching VPN providers. We’re sure you’ve already done your homework and checked out a few similar guides. You should make sure they are up to date for the year you’re purchasing. A VPN service that was good in 2017 may no longer be any good in 2018. When searching for the best VPN for Sri Lanka ensure you consult updated information such as in this guide. One of the biggest considerations when choosing a VPN for Sri Lanka is if you should use a free VPN or one you pay for. Our rule of thumb is this. If you can afford to pay for a VPN then you should. They’re faster, more secure and they won’t sell your personal information to the highest bidder. If you can’t afford to pay for a VPN service then we recommend bouncing around free trial services. Use services like VyprVPN that offer a completely free 3-day VPN trial without restriction. Then move on to the likes of CyberGhost VPN or TunnelBear. Select providers who offer paid services alongside their free service. You should avoid using completely free VPN services that offer no paid service alongside. Also avoid any service that isn’t well-known. Many of these fly-by-night services use your connection data to generate money, they either sell information about your usage or they inject malicious code and advertising into your connection. VPN services cost money to run, if you aren’t paying for access then consider the company must be making money in another way. If they don’t offer a paid-for service that is funding the free service then take it that they’re utilising your information or connection to pay for the service somehow. Unblocking services in Sri Lanka isn’t worth forgoing your privacy or personal details. Indiscriminate social media and chat app blocking has shown that a VPN is now a necessity in Sri Lanka if you want to access a free and open internet. Regardless of if you’re a traveller in Sri Lanka or a resident, you’ll need a VPN to ensure that services are able to be accessed without restriction. Above we’ve listed our five favourite providers for use in Sri Lanka that couple fast speeds with a good selection of location connection points. All you need to do is choose one. If you’re still struggling to make a decision just click the button below which will take you to our number 1 recommended VPN for Sri Lanka.